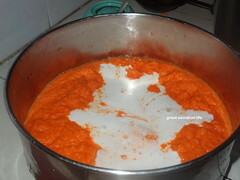 I love to sneak vegetables to give natural colors and flavours. 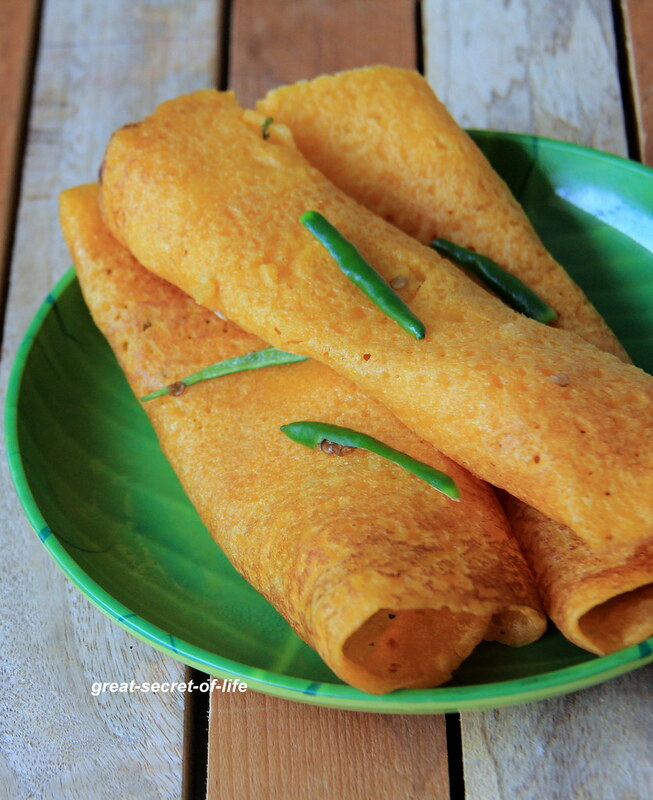 I have Posted Carrot dosa before. 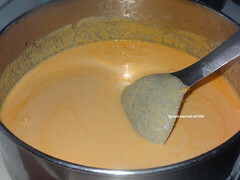 It has different ingredients. 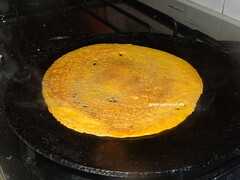 This version is very simple and even bachelors can try. 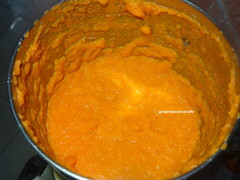 The color and natural sweetness of the carrot would be attractive to the kids. 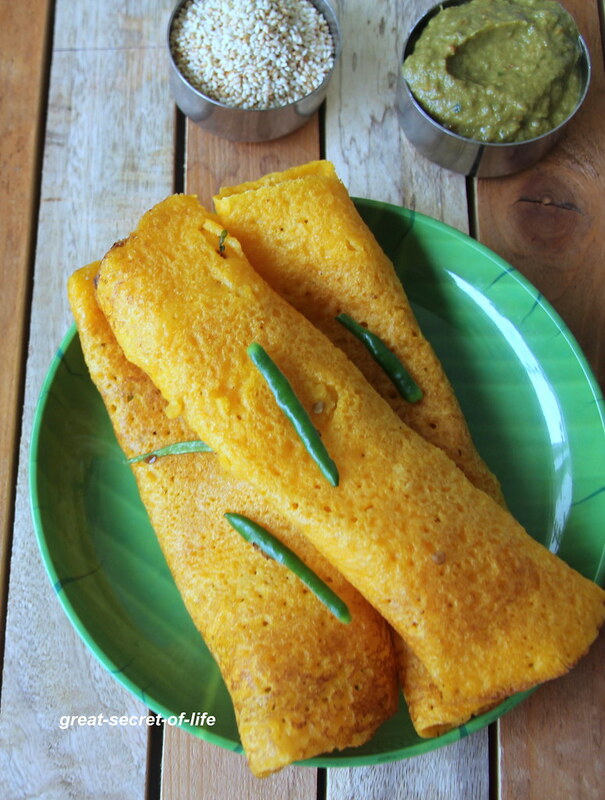 Easy to get your daily color or vegetable servings right? 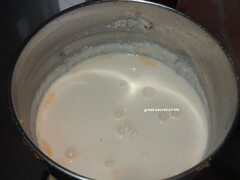 Wash and soak Idli rice, urad dhal for 3 hrs. Fry Green chillies in 1/2 teaspoon of ghee. 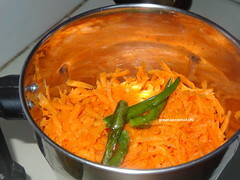 Grind carrot and green chillies. 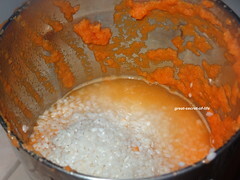 Grind rice with require water and salt. 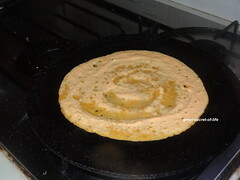 The dosas look superb, loving the addition of sesame seeds.. This is a good way to include carrots in our diet. 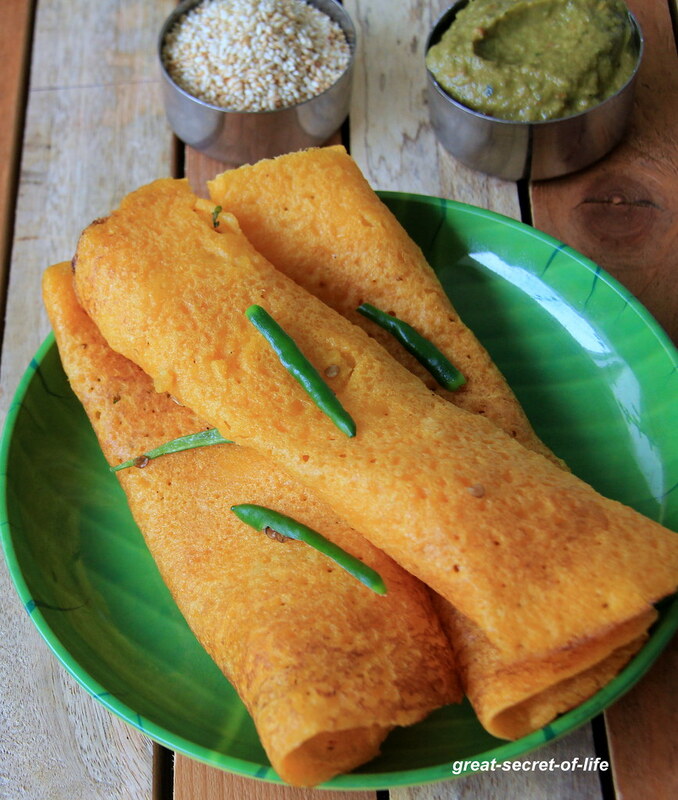 Love the color of the dosa looks so delicious.